Hitscan guns in shooters often have two major qualities that people care about; how much damage they do and how accurate they are. (How quickly they fire is also relevant but in this article I’m focusing on the first two.) Which seems simple enough, because at the end of the day you want to know how fast your guns can kill things. But lots of shooters have been making the question a bit more difficult by introducing accuracy-affecting mechanics. Ways for a player to use positioning, modifications, skills, or game mechanics to manipulate the likelihood of a fired bullet hitting the crosshair. An extremely popular one is having the player’s movement speed affect accuracy. Spraying an AK-47 while at a dead run will basically turn it into a shotgun, and firing a revolver while crouched is often comparable to sniping. 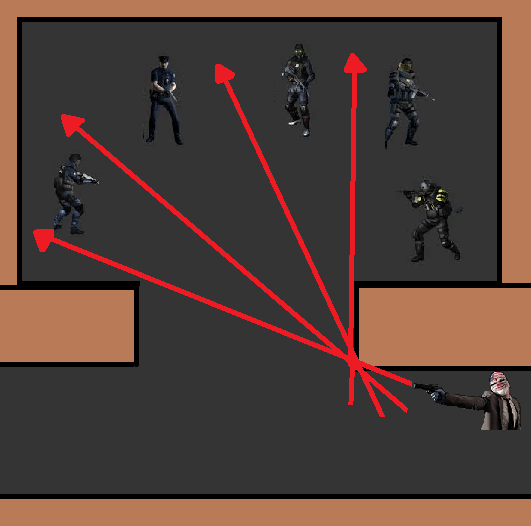 The logic behind this concept is that it’s obviously more difficult for somebody to aim a gun while they’re focused on running, though it looks weird in games because the player often visually holds their first-person weapon just as stable as they always do, it’s just the gun that for some reason can’t decide where the bullets will go. Crouching, as mentioned, played a part both in slowing down the player and (presumably) allowing the character to maintain a better stability. This mirrors the real-life marine concept of duck walking. 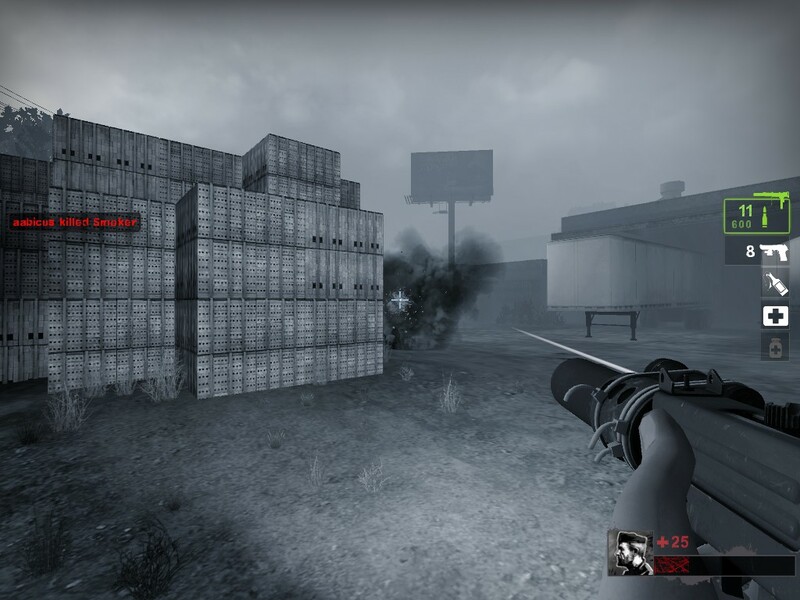 For a concept with a more realistic appearance, “aiming down sight” is becoming a popular mechanic; an alternate fire mode simulating the player taking careful aim to use the weapon’s sights. Virtually nonexistant in Valve games, its chances of appearing in a game increase the more “tactical” the game brands itself as. 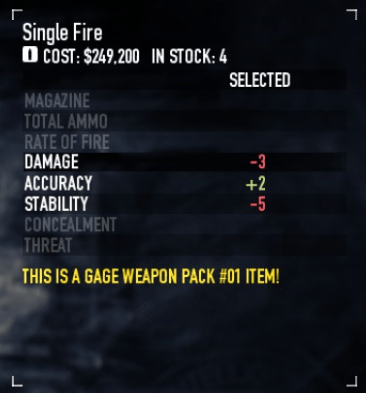 A major problem is that the developers often go overboard with the accuracy penalties for hipfiring; if every gun becomes incapable of hitting anything without ADSing, the mechanic changes from a way to reward skilled sharpshooters to an annoying repetitive necessity that slows down firefights. It’s for this reason that Battlefront III announced it won’t have iron sights, and I suspect Valve agrees because they’ve never had the mechanic in a single game (not counting the zoom function on sniper rifles). One of the games I can think of that used the mechanic correctly was Payday:The Heist, since several weapons (namely the AMCAR-4 rifle, Compact 5 SMG, and Bronco revolver) were capable of perfectly accurate hipfire. The Brenner machinegun was actually worse when aiming! Because of this, ADS became a way to differentiate the firearm’s playstyles and added another level of nuance to the strategy. In any game with weapon modifications, accuracy is a token benefit you can slap on your weapon, since it meshes fine with whatever downside you like. Lowered firing speed? Less damage? Great, since I’m hitting more often it balances out! 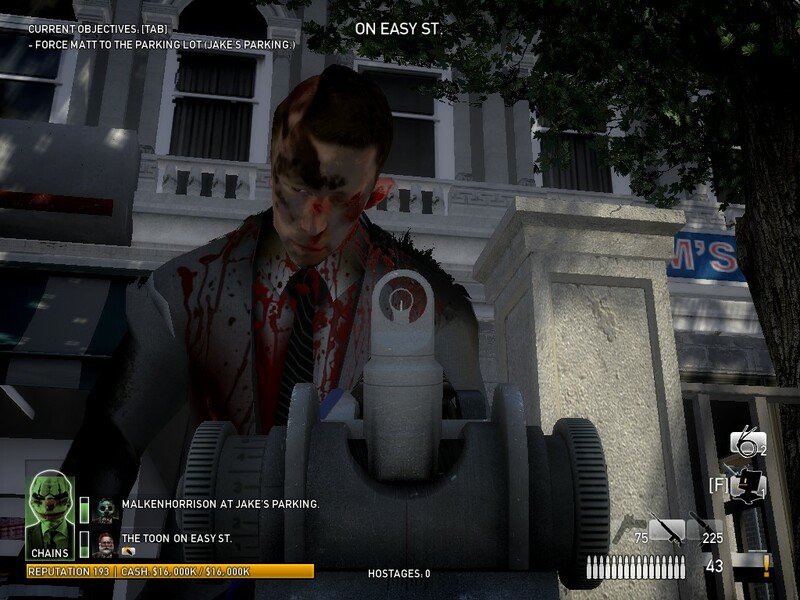 Left 4 Dead 2 has exactly one weapon mod, a rarely-found laser sight that grants perfect accuracy to your primary weapon. The toggleable silencers in Counter-Strike: Global Offensive increase accuracy at the cost of lowering damage. Accuracy is a popular choice for a mod because it’s perceived to require skill on the player’s part to make use of, though it can also compensate for a new player’s lack of firing restraint. With a laser sight even an SMG can snipe. There are a number of tactics a player can employ to further their own accuracy, many of which were taken directly from real-life military strategies. “Slicing the pie” is a popular one where the player can use corners to ensure that he gives himself maximum cover while advancing into a room of unknown hostility. By “slicing” the 270 degree turn into individual pieces and ensuring each piece is secure before continuing, the player divides a roomful of enemies into a series of singular, controllable duels. The primary downside to this tactic is that it might take too long for you to notice a dangerous enemy, like that taser in the corner. Another tactic is to maintain proper firing discipline through “short controlled bursts”. Rather than emptying your magazine at the enemy, firing a few times and giving yourself a second to realign your shot can help make every bullet count. Even in games like Half-Life where your gun is always perfectly accurate, short controlled bursts can compensate for running-and-gunning, surprise ambushes, and also encourages the similar (but less realistic) tactic of reloading often. Team Fortress 2 is one of the most interesting shooters when addressing this topic because it has steadfastly avoided any form of accuracy-altering mechanics despite carrying a more versatile roster of unlocks than any other shooter I can think of. Crouching does nothing, running does nothing, even the Sniper rifle’s zoom doesn’t affect anything because noscopes are perfectly accurate. The Huntsman is the only weapon I can think of with an accuracy mechanic, and if you ever encounter it you’re using the weapon wrong. And that’s part of why TF2 is such a unique game. It doesn’t worry about weapon balance the same way other games do. The unlocks in each category, for example the shotguns, don’t differ in minuscule ways like pellet spread, they differ due to unlocks having crazy unique upsides like nothing else in the game. 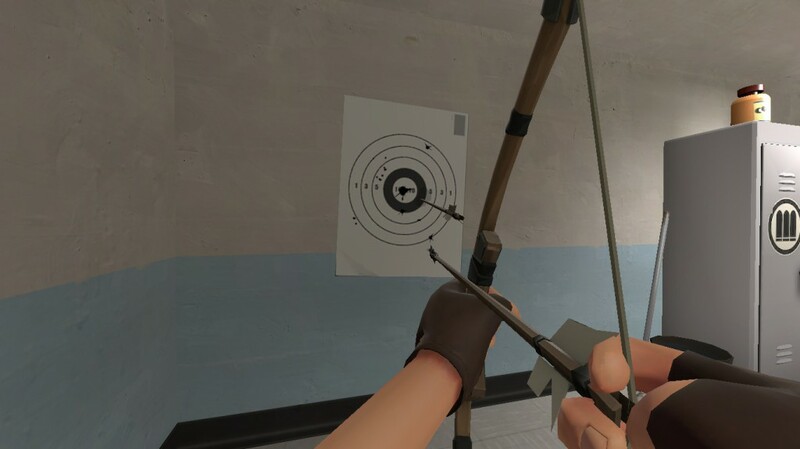 TF2 doesn’t worry about ‘tiny’ mechanics like sprint, ADS, hold breath or shove, preferring instead to place everything on the bare minimum required to allow the player to traverse the world and shoot people. And that gives it a metagame completely divorced from that of other games, which is why I have to keep branching out to more ‘typical’ FPSes when writing these genre analysis articles.